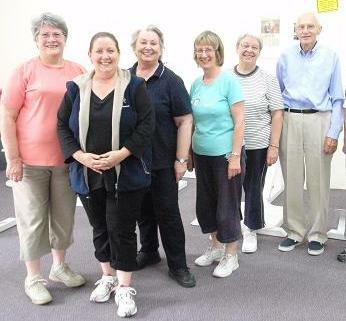 As part of our group fitness class timetable we have some specialised classes for people who are older, or who have limited mobility, or who are building up to full fitness. In Australia, falls are the leading cause of all injury related hospitalisation for people over 65 years. 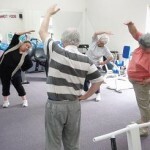 In 1997/98, 45649 people over 65yrs were hospitalized, with the common cause of falls being age related muscle decline. Without strength conditioning, lean body mass (strength) declines with age and accelerates after the age of 45 years to approximately 5% loss per decade. However, all hope is not lost… Mass and strength can be regained and maintained no matter what a persons age, or the state of a persons body’s musculature prior to the commencement of a progressive resistance training program. Which in turn improves functioning ability for independent daily living, including walking, lifting, climbing stairs and overall quality of life. Would you benefit from joining a group class with an instructor at a set time every week? Then come to one of the group exercise classes in our ‘Move for life’ program; class descriptions listed below. CLICK HERE for class times as shown in our Group Exercise Class Timetable. Supervised exercise focused on strength and balance using light weights, resistance and cardio equipment and aerobic movement. Fun mix of exercises and catchy music. This class combines yoga, pilates, small fit balls, large fit balls, tai chi, stretch and relaxation. A great mixture of disciplines, this class will have you walking out taller than when you walked in. 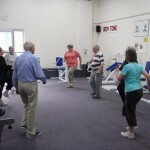 Circuit class for people with mild mobility restrictions, injuries, disabilities or low fitness levels. This class provides for extra modifications for specific needs. 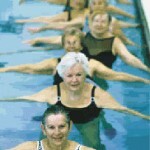 Ease arthritis, muscle and injury pain and gain extra mobility, flexibility and suppleness through water exercise. Summer or winter you’ll feel wonderful after this aqua session in our 32 degree warm pool. Getting back into exercise after illness or inactivity can be daunting. This is the ideal next step after rehab. Gentle exercise in our warm pool will help your recovery. You will be amazed at the results. Note: 10 visit cards have no expiry date, and may be used for any of our 'Move for Life exercise classes'. Note: Unlimited group exercise classes and gym sessions are included in gym memberships. 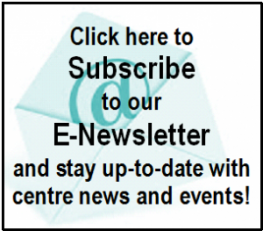 CLICK HERE for more information on gym memberships. Are you reasonably mobile and would you benefit from extra core stability? Then come to one of our main-stream Yoga or Pilates classes. Most of the exercises in these classes are performed on floor mats, so participants need to be comfortable lying on the ground. CLICK HERE for class times as shown in our Group Exercise Class Timetable. Iyengar yoga is a precise and dynamic form of Hatha yoga. It is the focus of concentration and self awareness on the external and subsequently, the internal states of the body. It is about achieving balance and harmony through postures (asanas) and then concentrated breathing (pranayama). Yoga provides a holistic approach to healing through treatment of the individual as a unified body and mind. Pilates focuses on using the correct muscles during movements, while incorrect muscles are encouraged to relax. By strengthening weak muscles and focusing on the control of stabilising muscles during exercises, it is ideal for injury rehabilitation (back, neck, shoulders, knees and feet), and is also used by professional athletes to improve their performance. 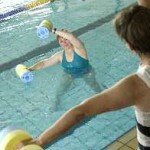 Would you benefit from water exercise but would prefer to come in your own time? Then come and do your own hydrotherapy routine during public swimming times. CLICK HERE for the pool availability timetable. Are you reasonably self motivated and if shown how to do some land exercises would prefer to come and perform them in your own time? Then book a session with one of the gym instructors and have a personalised exercise program written up for you. Gym Instructors are available for appointments Monday to Saturday. Individual exercise programs are designed specifically around your ability, health and fitness levels. We usually start with a 1hr consultation during which your ability, health and fitness levels are assessed. Depending on how complicated your needs are, you may also have time to be shown through some exercises during this first appointment. However, generally clients will require another half hour appointment during which you will be properly shown through your list of exercises. Would you like more personalised attention to focus on your specific exercise needs? Then book some Personal Training Sessions. Personal Trainers are available for appointments 7 days per week. ‘Personal Training’ means that every time you come in to do your exercises you will have a qualified personal trainer focused on exercising you and only you. Having extra monitoring and on-hand expertise means that you can exercise effectively, get the intensity and movement correct and try new exercises progressively and safely. Your personal trainer will work out challenges with you and adapt your challenges as you improve, keeping you on track and focused. CLICK HERE for more information about our Personal Training options. To get started on any of the options above, phone 9895 2300 to book your first session today! Please note: Clients who are over 50 years of age or who have had previous health issues need to get medical clearance from their general practitioner before participating in regular exercise. If this applies to you, simply bring a medical certificate with you on your first session. We look forward to seeing you.